There’s a lot of flies unfortunately thanks to a chicken farm that opened across the street. So, so many flies. Not to mention bad smells when the wind blows a certain way! We cut our stay short because we couldn’t stand it. We have stayed at this park several times over the years as we come through the area. We usually only stay one night. 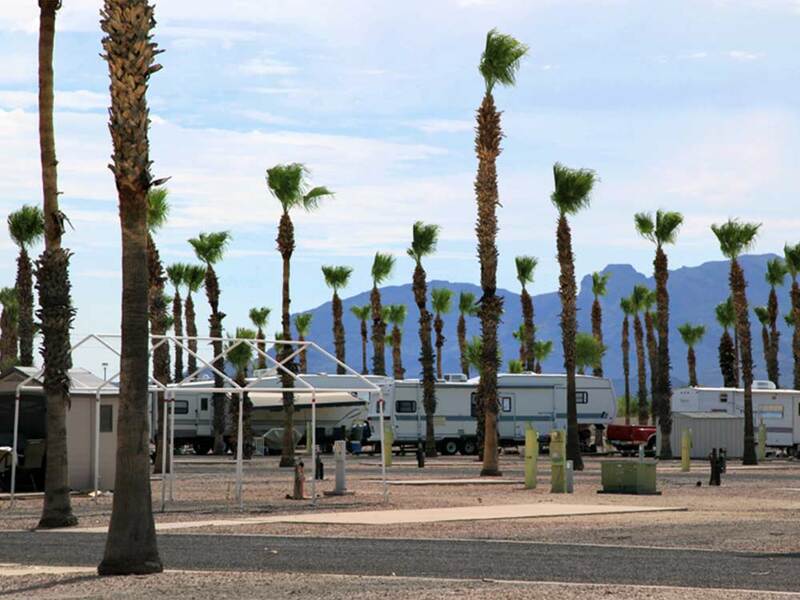 The park is easy to get to from I-10 and the park is easy to navigate with the tow car attached. We are aware of the chicken farms close by, but during our stays we have never noticed them. Will definitely stay here again and would recommend this park. Registration was a breeze and the people very friendly. But the outside air smells very, very bad. They even give you a slip of paper on how to complain to the county about the egg farm smell, feathers, flies and respiratory problems. We spent the evening swatting flies in our rig. This place goes on our never again list. Office was closed when I arrived at 3:30. Tried calling for assistance but never got a reply. Ended up not having correct change so paid $30 for a $28.80 night (that didn't include WI-fi internet access. Most places I have stayed traveling across country provide free WI-fi internet access. Doubt I'll stay here again. Park is clean and quiet but paying for Wi-fi is aggravating. This park does not take reservations for overnight stays, which didn't bother me until I arrived and was assigned a site that consisted of broken asphalt. Leveling my trailer appeared near impossible. I called the office from my cell phone to ask if I could move to another site as there were at least 20 empty sites with gravel that were level. These empty sites were all located in an area marked "Overnight Sites". A woman, who I later learned was the manager repeatedly told me, "All of the sites are exactly the same." They are clearly not. A park employee stopped by and couldn't believe what I was being told; broken asphalt is not the same as level gravel, but apparently what she says "goes." The manager also told me, "You're going through a lot of trouble for one night." She said the best she could do was give me my money back. Oh, and it was almost 4 pm, when the office closes. Remember, they don't take overnight reservations, so it's not like the other sites were reserved. I did get my money back before I left, but this was the weirdest most unprofessional RV park manager I've ever encountered (in fact, I've never had a negative experience before this). I asked her if there was a reasonable explanation why I couldn't just pull into another space, and her answer was, " I'm not going to stand here and argue with you." I'm a reasonable person; had there been a reasonable explanation I would have understood and would not be writing this review. If I was the park owner, this manager would be replaced immediately.